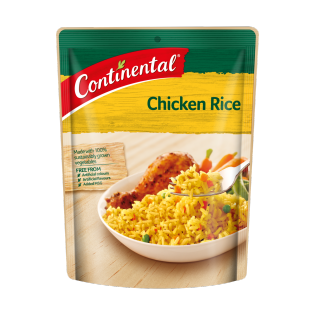 I love this rice and i am not a packet food fan! great along side a salad , roast chook or just by itself. Top job continental! Really tasty, as a side or for lunch. I'm not usually a fan of packet rice but you wouldn't know it! I wasn't sure what to expect with this product but gave it a whirl as it was on Special at Woolworths. I was surprised at how tasty it was. A nice change from plain rice. I would purchase again. I ate this product in the morning and by aftrenoon i had the most catastrophic diarrhoea i have ever had. My poo was complete water but it was dark yellow with chunks of blood. Please help! Hi, sorry to hear about your experience & hope you have consulted a doctor when that happened. Do give us a call at 1800 888 997 quoting reference 23251421. Hope to hear from you soon!